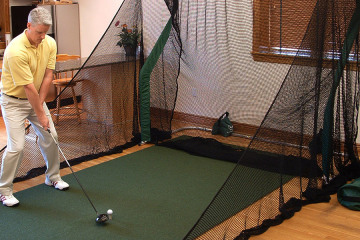 Looking to do some putting practice at home? 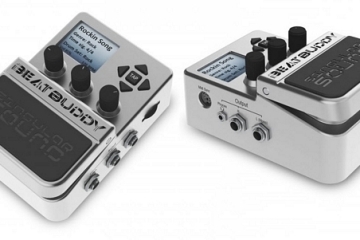 While your Modular Golf Rug Kit lets you do that, it remains doubtful whether it’s really helping you improve — in fact, you might often just end up doing the same wrong thing over and over. 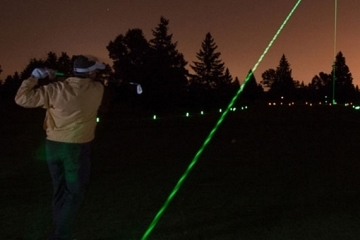 The Perfect Pitch Golf Mat, on the other hand, trains you how to correctly set up a variety of short shots. 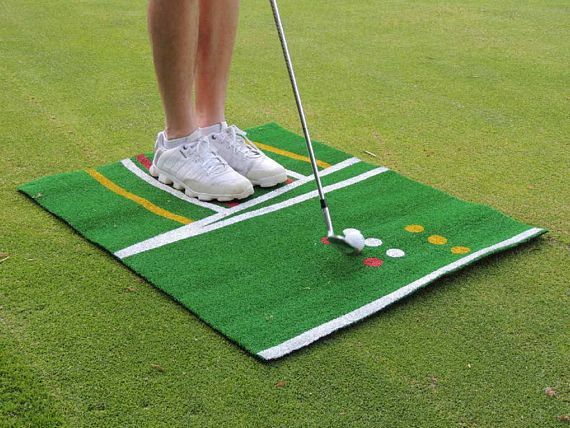 Unlike typical putting mats, this doesn’t come with an integrated hole for sinking your shots into. Instead, it’s all about the setup — how to position your feet with regards to the ball for chip, pitch, lob and bunker shots that form a huge part of a player’s overall game. 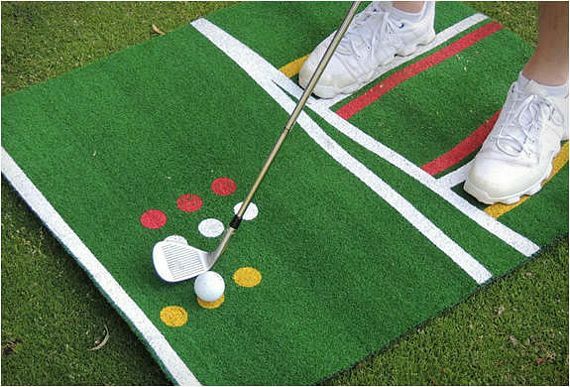 The Perfect Pitch Golf Mat is a simple rug with printed markings on the surface that indicate where to place the ball and where to position your feet for specific kinds of shots. The positions are color-coordinated, so just put your feet on one set of colors and the ball on a spot with a corresponding color: white stands for pitch shots, red for chip, and yellow for lobs and bunkers. The idea is to train yourself to make the proper setup every time you take such a shot, which should end up genuinely improving your game over time. Five critical areas of setup for your short game are targeted for improvement, namely width of stance, foot alignment, aim, ball positioning, and distance from the ball. It comes in three sizes: large (for players 5’7” and taller), medium (5’6” and below), and junior (for younger players aged 6 to 11). 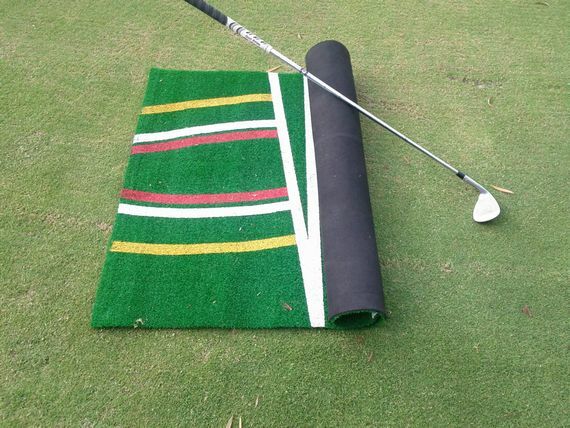 As of now, the Perfect Pitch Golf Mat is collecting pledges for a production run on Indiegogo. Pledges to reserve a unit starts at $60.